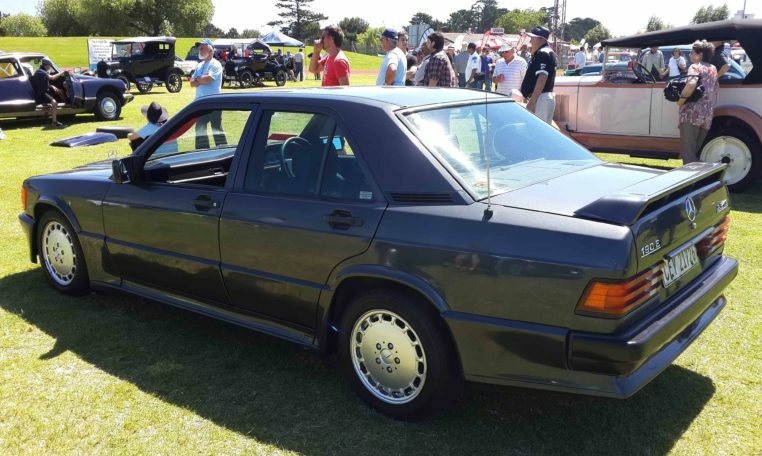 In the late ’70s, Mercedes Benz’s V8-powered 450SLC rally car had begun to show the signs of aging, so the Stuttgart based automaker decided to replace it with a compact model. The 190E was jointly developed with Cosworth but the car never made it to rallying, as Audi had taken everyone by surprise with the Quattro that featured four-wheel drive and a turbocharged engine. Mercedes’ management didn’t want to pick a battle it couldn’t win so they decided to compete in the German Touring Car Championship (DTM). In a twist of fate motorsport regulations stated that for the 1890E race car to be homologated, there would have to be a road-going version. 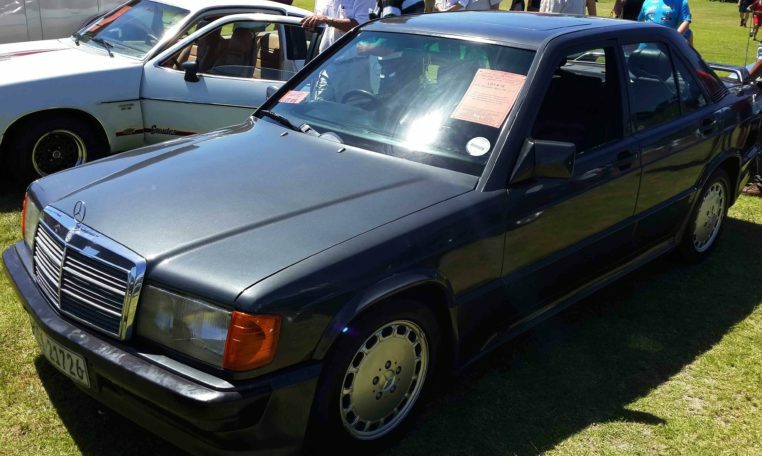 So, at the 1983 Frankfurt Motor Show, Mercedes unveiled the 190E 2.3-16 Cosworth which was quickly nicknamed the “Baby Benz” by the public (16 only went into production one year later in September 1984). It seemed that timing was everything, because just one month earlier, three of the Cosworth prototypes had set a number of world speed records at the Nardo (Italy) oval, after having being driven non-stop for over 50,000 km (31,069 miles). The plan was to cover the distance in 8 days, at an average speed of 240 km/h (149 mph). 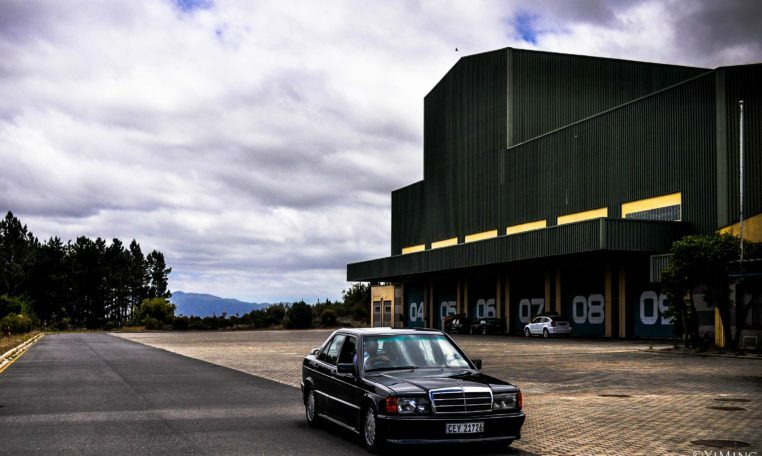 They used six pilots driving in two and a half hour shifts and completed the driving task in exactly 201 hours, 39 minutes and 43 seconds (and 243 pit stops later). Yet the most amazing fact of all was that the three cars finished without breaking down, needing only routine maintenance and refuelling. 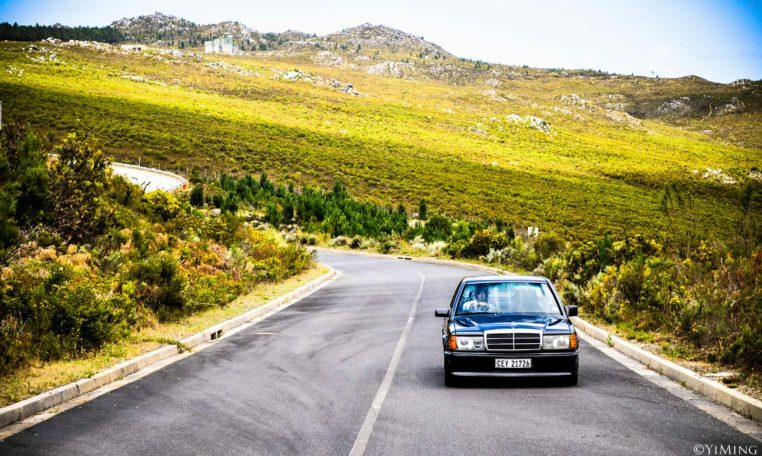 At the heart of the production 190E 2.3-16 was its four-cylinder Cosworth engine, 2.3-liter stock Mercedes powertrain delivering 136 hp. The model was made from a light alloy, that was fitted with dual overhead camshafts and four valves per cylinder. The British engineers used a Bosch K-Jetronic injection system and made the valves as large as they could be for the given displacement. 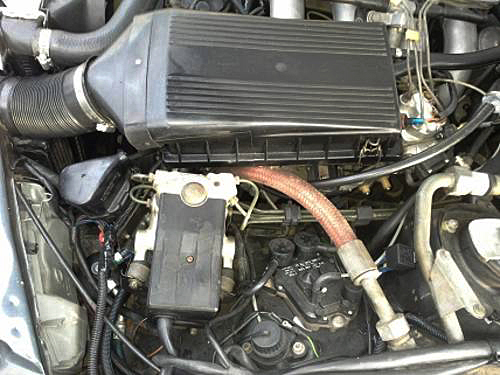 The 190E 2.3-16 Cosworth 2.3-16 delivered 185 hp at 6,200 rpm and 240 Nm (177 lb-ft) at 4,500 rpm, easily reaching its 7,000 rpm redline. It was fast for its time reaching 100 km/h (62 mph) from standstill in 7.5 seconds, with a top speed of 230 km/h (143 mph). 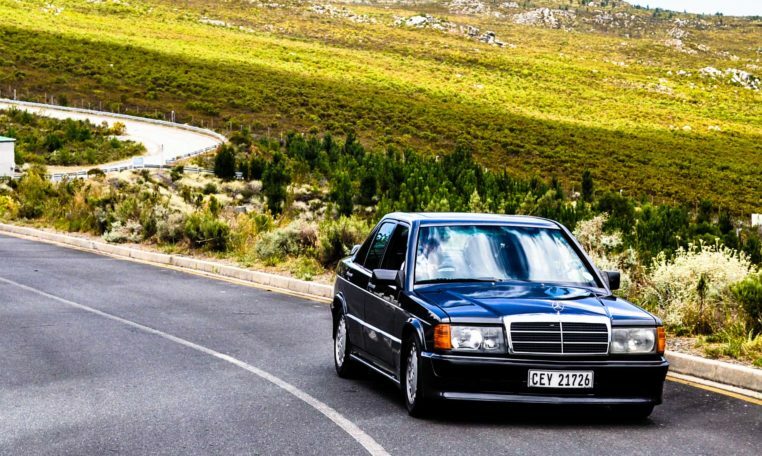 U.S. 190E spec models had a slightly weaker engine, rated at 167 hp and 220 Nm (162 lb-ft) because of stricter emission regulations. The cars five-speed manual Getrag transmission with a racing gear pattern sends power to the rear wheels. 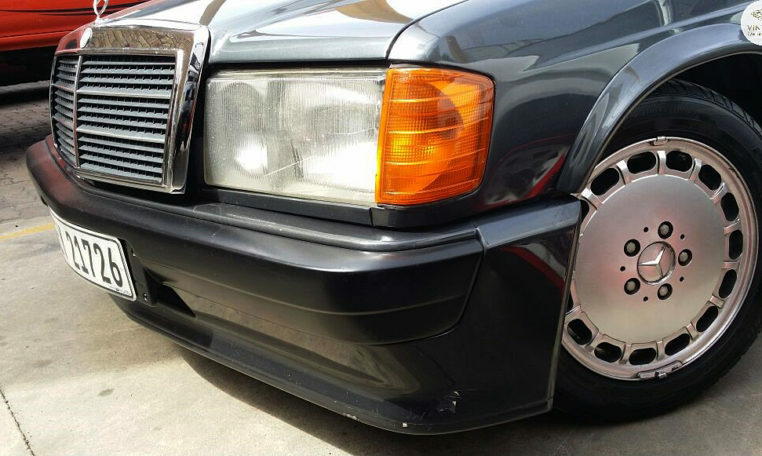 That meant the 190E had a “dog-leg” first gear, i.e. left and down from neutral. The steering ratio was shortened to add precision, while the steering wheel also had a smaller diameter. 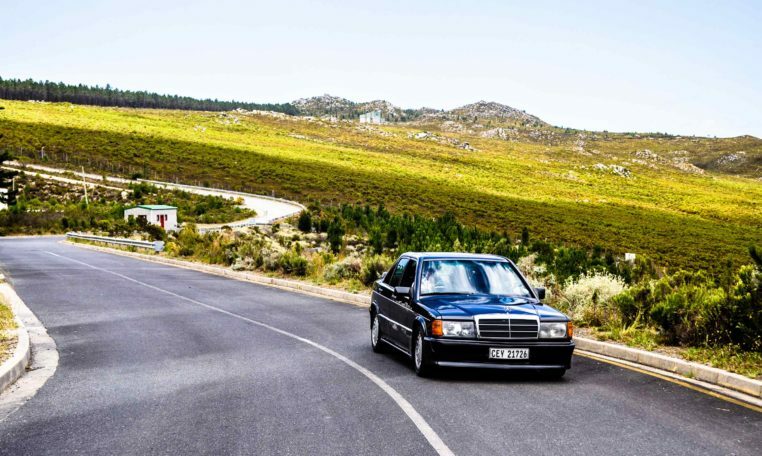 The 190E Cosworth would also set a new world record for the time with a 0.32 drag coefficient. The car also showcased many advanced engineering solutions, such as an electronically controlled limited-slip differential (LSD) and self-levelling hydraulic suspension on the rear axle. 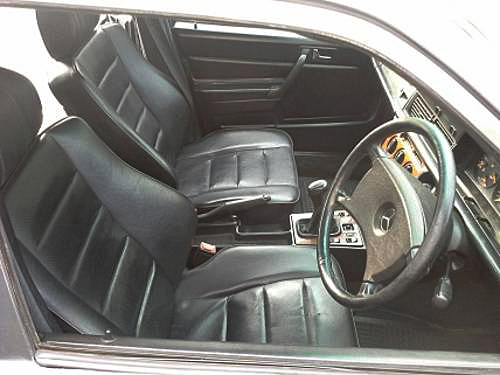 Inside the 190E sported leather-clad Recaro sports seats for ample support during fast cornering, alongside the aggressively shaped rear bench, while the instrument panel offered additional gauges for oil temperature, voltmeter and stop watch. The model was only available in two exterior colors: Blue-Black metallic and Smoke Silver. 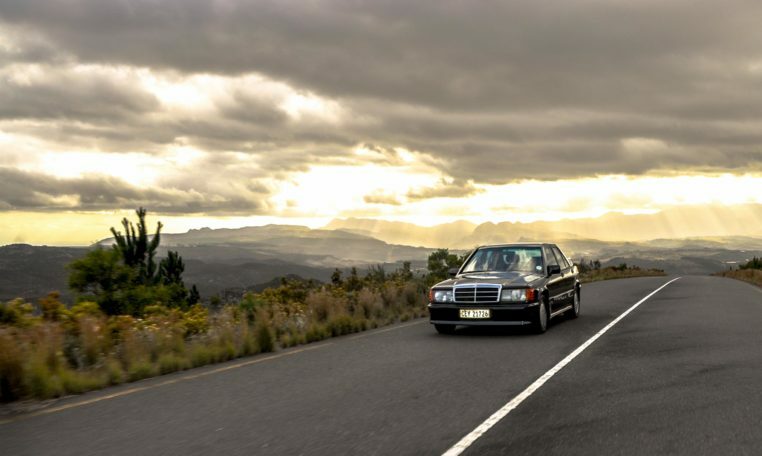 In 1984 Ayrton Senna, a relatively unknown driver at the time was tasked with driving the 190E Cosworth for the race, and he won the first race held on the shortened Nürburgring, and the win signaled the birth of two very big stars. 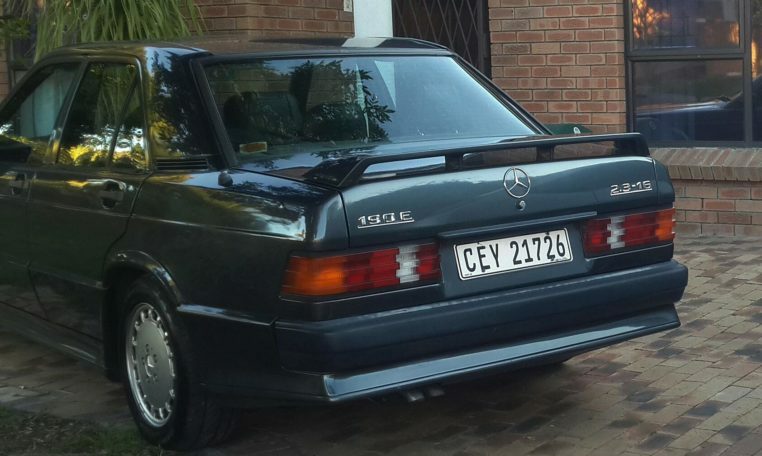 This 1985 Mercedes 2.3 190E Cosworth has been very well looked after. The paintwork and the interior of the car are in good condition. 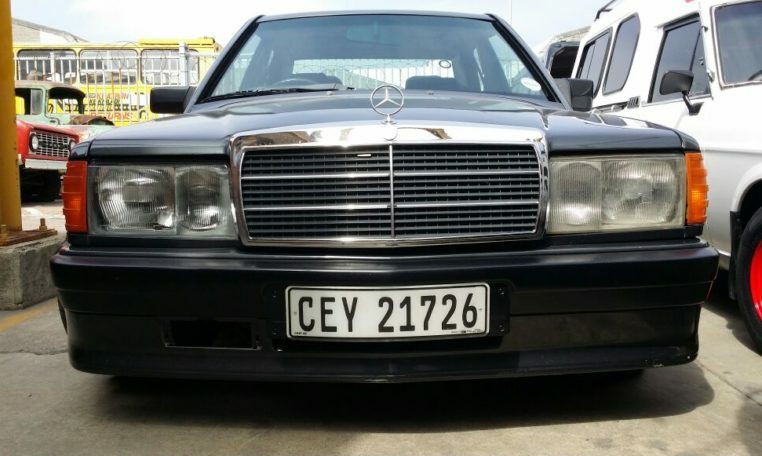 The Baby Benz has approximately 242,000 original kilometres on the clock, with a full service history from when it was brand new (the 1985 Mercedes 2.3 190E Cosworth was serviced @ 10000km intervals). 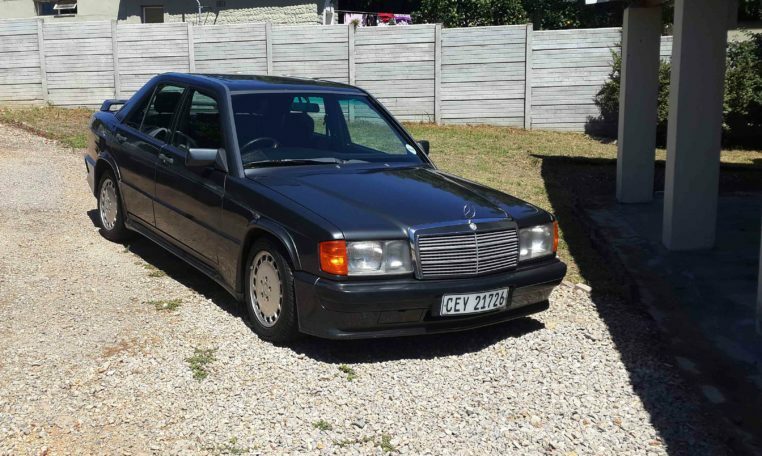 The 1985 Mercedes 2.3 190E Cosworth is currently undergoing a full restoration, which is due to be completed in April 2018 and the car will sell for R450,000 when it is finished.